Our research addresses structural, magnetic, and transport properties of novel materials with an eye toward practical applications. 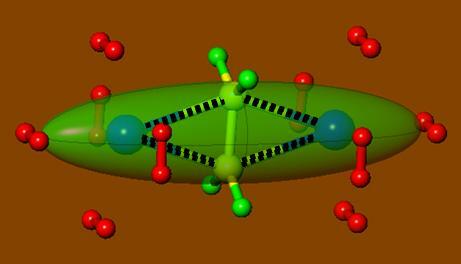 This is done by calculating the properties of real materials using first-principles computational techniques and testing the results by neutron scattering and other measurements. 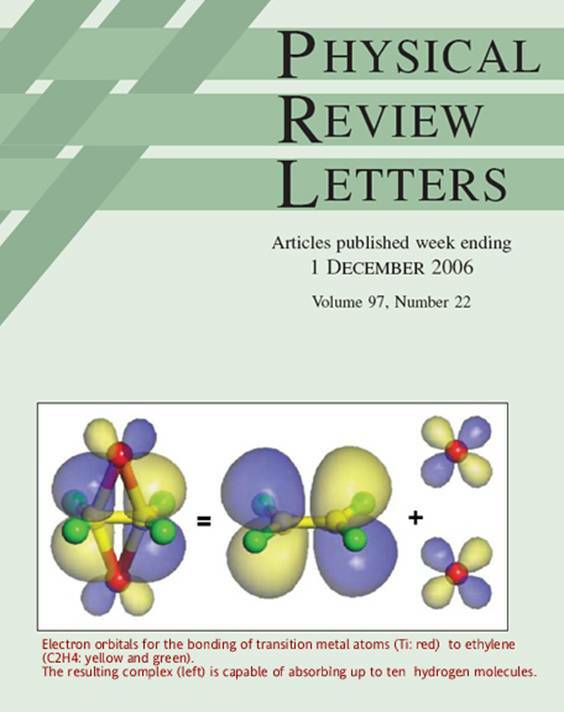 Systems of particular interest include molecular solids such as the fullerenes and cubane, nanoporous materials such as metal-organic frameworks for hydrogen storage, frustrated magnetic systems such as the Kagome lattice and cuprates, novel superconductors such as iron-pnictides, doped fullerenes and magnesium diboride, and nanomaterials such as nanotubes and molecular magnets. Very recently a new family of layered materials containing BiS2 planes was discovered to be superconducting at temperatures up to 10 K. These new systems REOxF1-xBiS2 (RE=La, Nd, Pr, and Ce) are structurally similar to the layered, iron-based superconductors LaOxF1-xFeAs, and in both cases the superconductivity is achieved by F-doping. In addition, band structure calculations indicate the presence of strong Fermi surface nesting at the wave vector (pi,pi), which is the hallmark property of the Fe-pnictides. These similarities have raised the exciting question of whether or not the superconducting mechanism in the BiS2 system is related to that in the iron and have therefore generated enormous interest. The fundamental question is whether or not the observed Tc in this new system can be understood within a conventional electron-phonon coupling framework, or is a more exotic mechanism responsible for the superconducting pairing? We performed state-of-the-art first principles calculations that directly address this question and reveal several surprising findings. 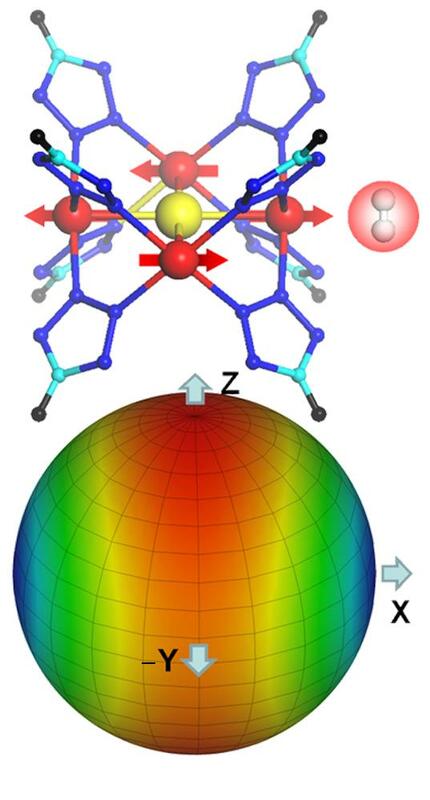 We show that the parent compound LaOBiS2 possesses highly anharmonic, ferroelectric, soft phonons at the zone center and a spontaneous polarization of ~10 μ C/cm2. Upon electron doping new instabilities appear at (π/2,π/2) and (π,π), which causes the Bi/S atoms to order into a one-dimensional charge density wave (CDW). We find that BiS2 is a strong electron-phonon coupled superconductor in close proximity to competing ferroelectric and CDW phases. Our results suggest new directions with which to tune the balance between these phases and increase Tc in this new class of materials. Read more: Ferroelectric soft phonons, charge density wave instability, and strong electron-phonon coupling in BiS2 layered superconductors: A first-principles study, Taner Yildirim, Phys. Rev. B 87, 020506(R) (2013). Energy Environ. Sci. 5 , 6453 (2012). 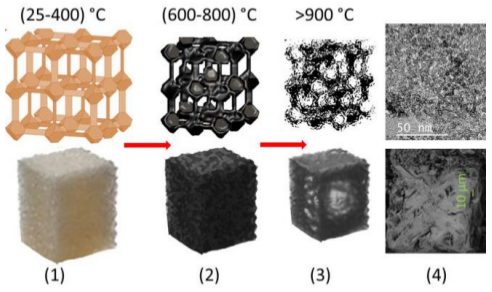 We report the synthesis of a range of high surface area graphene oxide derived carbons (GODCs) and their applications toward carbon capture and methane storage. We obtain largely increased surface areas up to nearly 1900 m2/g for GODC samples from 10 m2/g of precursor graphene oxide (GO). Our GODCs reveal favourable gas adsorption capacities compared to other high surface area carbons. We show that producing high surface area carbons from GO precursor is a viable method, and the porosity parameters are easily tuneable for their potential gas adsorption applications. The results reported here clearly demonstrate that GODCs are very promising solid adsorbents for gas adsorption applications due to their easy synthesis, tunable pore size/volume, high chemical stability and low cost production. Read more: G. Srinivas, J. Burress, and Taner Yildirim, Energy Environ. Sci. 5 , 6453 (2012). In our recent studies [Phys. Rev. B 76, 085434 (2007), Phys. Rev. Lett. 97, 226102 (2006)], we suggest that co-deposition of metals (i.e. Ti/Li) with small organic molecules such as very cheap ethylene molecule (a ho-hum material that is the building block of the most common plastic) into nanopores of low-density high surface materials could be a very promising direction for discovering new materials with better storage properties. We found to our surprise that the interaction of Ti with the C=C double bond of ethylene molecule (i.e. C2H4 ) mimics what we found in C60. 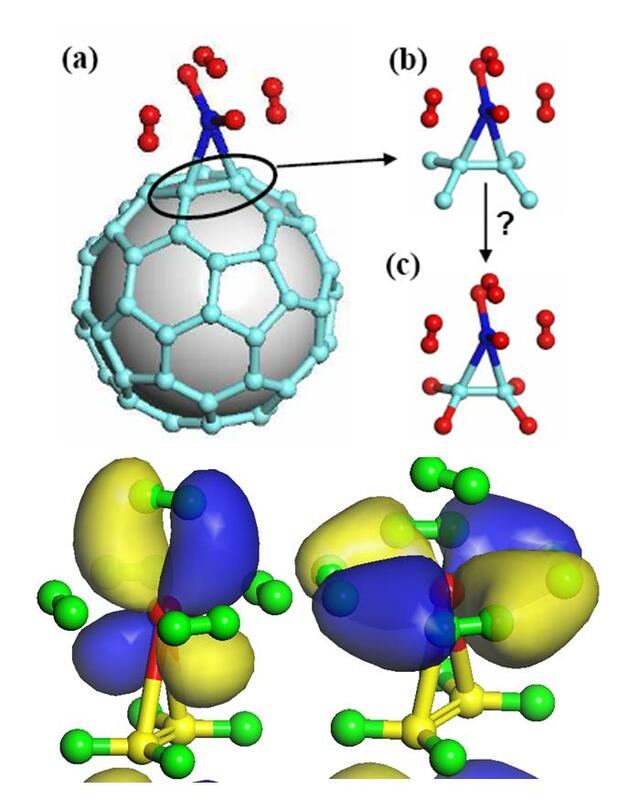 Detailed first-principles calculations show that the complex resulting from attaching a Ti atom to each ends of C2H4 (see figure) will reversibly adsorb ten H2 molecules. The equivalent material gravimetric capacity of 14%, if realized in practice, would readily exceed the 2015 DOE system goal. Another advantage is that, unlike our previously predicted structures involving fullerenes and nanotubes, the metal-ethylene complexes have actually been synthesized and actively studied as catalytic systems for several decades. 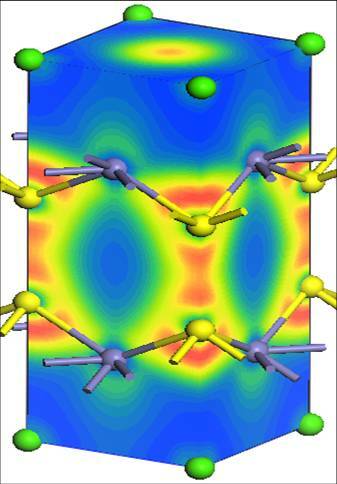 Their potential for hydrogen storage was first revealed by our theory and modeling work. Some preliminary experimental results demonstrating 14 wt% H2 adsorption at 300K on Ti-C2H4 complexes formed by laser ablation has been recently published in Phys. Rev. Lett. 100, 105505 (2008).